Tropical Bottling Company is a beverage copacker that is proud to serve ready-to-drink (RTD) beverage makers throughout the United States. We have a state-of-the-art facility that is uniquely positioned to provide clients with all of the best-in-class services they need to get their products ready for store shelves, and our team has the knowledge and industry experience to provide our clients with recommendations on how to best can and package their products. Established beverage makers know that Tropical Bottling Company is the beverage copacker to trust for all of their commercial canning and beverage packaging needs, and countless startups rely on us for our unparalleled industry expertise and renowned trial program, which allows companies to save money by providing smaller quantity production runs to test new products and flavors in the market. Our facility is expansive and houses all of the equipment needed to can a wide range of RTD beverage products including sparkling juices, teas, carbonated drinks, energy drinks, flavored waters, nectars, flavored coffees, and more. In addition, we can provide you with custom palletizing, in-house or 3rd party labeling, and beverage packaging to expertly finish your product. We even have added storage space to house your finished goods while they are awaiting shipment. We are proud to serve companies in Florida, Georgia, Alabama, Mississippi, Louisiana and throughout the USA, so contact us today if you are ready to partner with a reputable beverage copacker to bring your product to market. 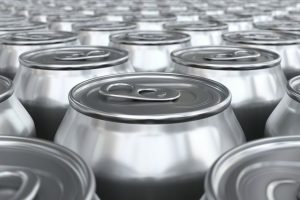 We have the canning, beverage packaging, and specialty services that you won’t find at other copacking facilities, and we look forward to serving you!